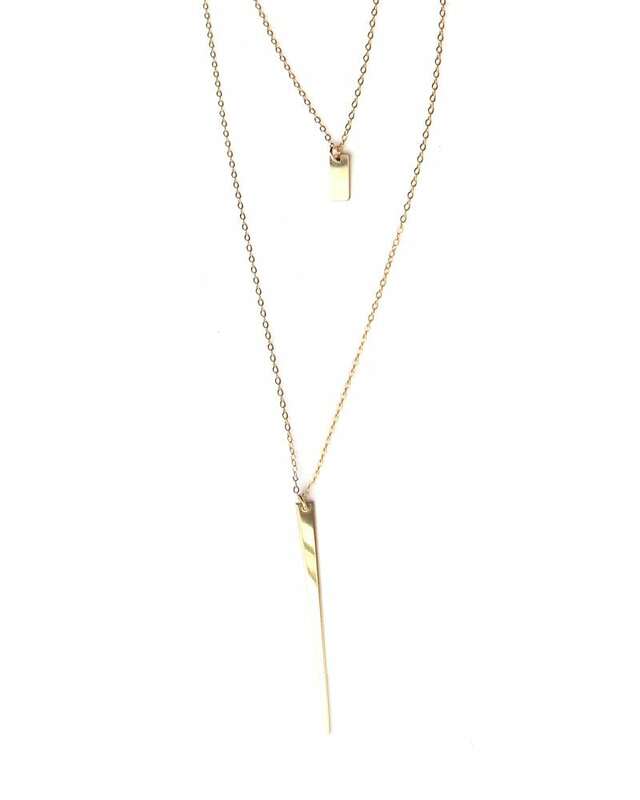 This 14k gold filled (goes with everything) necklace is soon to be your favorite partner in fashion crime! The delicate chain glitters wonderfully and both pendants have a gold mirror effect we simply can’t get enough of. We’re helping to take the guesswork out of layering with our “Layer Up Collection.” Two delicate 14k gold filled chain necklaces connected together with one clasp makes this one of our favorite extra wearable pieces. *You’ll receive the Tex Necklace Duo. The model is seen wearing BOTH the Tex and the Geo Necklaces from the Layer Up Collection. If you’d like to add the Geo Necklace Duo to you order you can check it out here!